You can have two phone numbers at once. No need for carrying two phones or keep switching SIM cards. You’re not locked to a network. Dual SIM phones aren’t locked to a specific network which means you are free to sign up to any network provider you like. Therefore, you’re free to use a travel SIM or local SIM when you travel internationally without having to worry about unlocking your phone or buying new one. Keep work and play separate. Have a SIM card for business and a separate SIM for personal use. Dual SIM phones are super clever and will let you know which line a call or text is coming through. This means you’ll be able to differentiate if it’s a business or personal call before answering the phone. Get properly (and easily) reimbursed for your work calls. If you have a separate SIM for work and play, you’ll be able to see exactly what you spend for work. No more slaving over phone bills with a highlighter and a calculator to work out what’s what. Make the most of two different deals. If you’ve found a plan that offers a really good deal for calls and texts and another that offers an awesome deal for data, you can sign up for both plans and make the most of both of them. More coverage. Being with two different networks also increases your likelihood of coverage. So, for example, if you need to make a call in an emergency and you don’t have coverage on one network, your backup SIM might come to your rescue. Never miss a call. A dual SIM phone lets you talk on one line and still receive calls from the other. This means you can put the first call on hold to answer the other instead of having it go straight to voicemail. 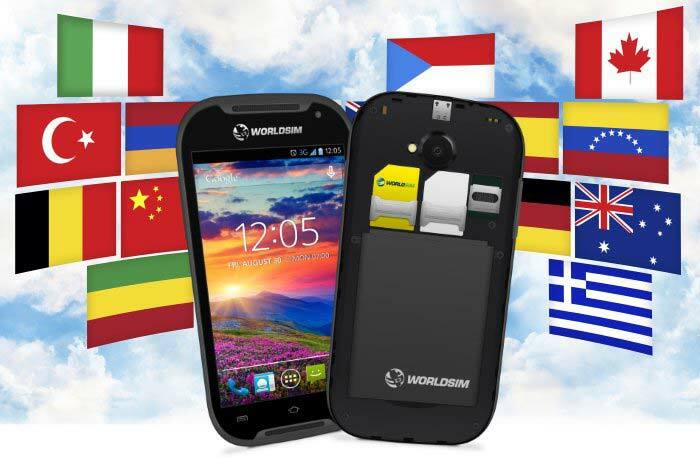 You can use your phone internationally without having to worry about switching your regular SIM card in and out. Keep your regular personal or work SIM card in your phone and also have a travel SIM card ready to go the second you step off the plane (or cruise ship if that’s more your thing). Cheaper rates overseas. With a dual SIM phone you can take advantage of cheaper rates overseas, by having a travel SIM or local SIM as well as your usual SIM. Be done with huge international roaming bills for good. Storage. Having two SIM cards means double the storage. Store different things on each SIM, or use one as a backup.